Mohammed Labadi had a lot at stake when the DeKalb City Council voted May 29 on a request from the Islamic Society of Northern Illinois University to build a two-story mosque. Labadi, a businessman and Islamic Society board member, said a bigger mosque was needed to replace the small house where local Muslims now worship. He also was hoping for affirmation that his neighbors and city officials have no fear of the Muslim community. The City Council unanimously approved the plan. In the decade since the Sept. 11, 2001 terrorist attacks, animosity toward Muslims sometimes has taken the form of opposition to construction of mosques and other Islamic facilities. National debate erupted over plans for an Islamic community center that became known as the “Ground Zero mosque” in Lower Manhattan. In the last five years, there has been “anti-mosque activity” in more than half of U.S. states, according to the American Civil Liberties Union (ACLU), an advocacy group that works to protect individual rights under the laws and constitution of the U.S.
NAIROBI, Kenya — Kenyan clerics across the religious divide vowed Tuesday to not allow sectarian violence to erupt following attacks on churches over the weekend that killed at least 15 people. The Inter-Religious Council of Kenya said Muslims will form vigilante groups alongside Christians to guard churches in Kenya's North Eastern Province, where the latest attacks occurred. 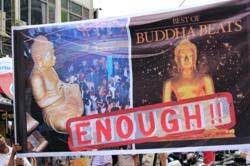 The Knowing Buddha organization marched to tell the world to ‘Stop disrespecting Buddha’ at Chatuchak weekend market and at Khao San Road. A large group of Buddhists from Bangkok and up country, readily walked holding signs to raise awareness to Buddhists and foreigners of the proper treatment to Buddha, and not to let the world forget that Buddha is a prophet of the world. Chatuchak weekend market (also called JJ market), which is renowned for the market of Buddha’s images, sculptures and symbols used as paintings and furniture, was the main destination that the organization asked for cooperation in helping raise awareness of this issue. “Though lofty declarations by national and international organizations may articulate the ideals and set the scene for interfaith relations, much of it gets lost in politics. The real work is usually done at the grassroots level. I witnessed it firsthand earlier this month when I addressed a gathering of members of more than a dozen liberal churches and synagogues in North Toronto. The group has been meeting regularly for some 25 years. The hundreds of women and men involved have not only forged strong bonds of friendship but also gained a deeper understanding of the others’ beliefs and practices. As their mission statement has it, “we pray our work will help end bias, bigotry and racism.” By all accounts, their joint endeavours have also deepened their own faith. MONTREAL — Little would please Yehuda Stolov more than to have Montreal become a source of support for an Israel-based interfaith group that eschews politics and fully embraces common humanity. 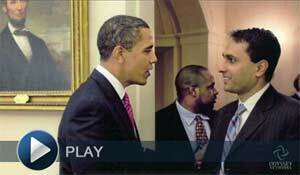 That’s how Stolov, a soft-spoken and articulate Jerusalemite, characterized the Interfaith Encounter Association (IEA), which, since he began it 11 years ago, has had only one real item on its agenda: to have Jews, Muslims and other faiths who live side-by-side in Israel and over the Green Line get to know each other as friends, not foes. Muslim, Jewish, and Christian faith leaders joined the National Religious Campaign Against Torture to break a 23-hour nationwide fast on Tuesday (June 19) at a press conference following the first-ever congressional hearing on solitary confinement. 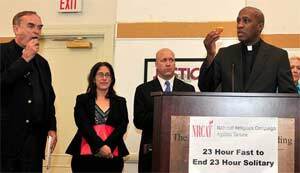 “We’re breaking our fast with a commitment that this issue is not over (and) that we’re going to even give more energy to our effort to make sure that no one has to spend time in solitary confinement,” said Richard Killmer, NRCAT’s executive director and a Presbyterian minister. The earlier hearing before the Senate Subcommittee on the Constitution, Civil Rights and Human Rights called attention to economic, safety, and moral issues solitary confinement raises. Some researchers estimate more than 80,000 prisoners are held in social isolation. Call them warriors of hope in a crusade against ignorance. They are fighting for tolerance and trust among Jews, Christians and Muslims in a peaceful way.Three Conservative Jews, all rabbinical students at the Jewish Theological Seminary in New York City, have made the pilgrimage to liberal Hartford Seminary, marking the first time the Jewish seminary has allowed its pupils to study at the Christian seminary for credit. Along with Jews, Christians and Muslims are also attending the Building Abrahamic Partnerships program this week. The program offers a practical foundation for mutual understanding and cooperation among the three religions. The religious exchange is taking place at Hartford Seminary’s Macdonald Center for the Study of Islam & Christian-Muslim Relations. It’s a place where books like “How To Be A Perfect Stranger” and “The Koran for Idiots” are available. 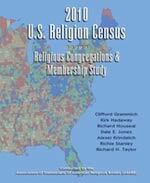 What makes this different is the formal blessing the Jewish seminary has given the study at the Christian seminary. 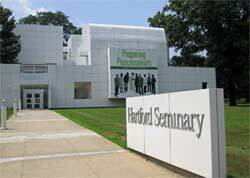 “The opportunity for rabbinical students from the Jewish Theological Seminary to study at Hartford Seminary in the multi-faith environment of Christian and Muslim colleagues is a godsend,” said Rabbi Burton L. Visotzky, Appleman Professor of Midrash and Interreligious Studies and director of the Milstein Center for Interreligious Dialogue at JTS. 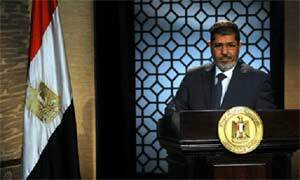 Mohamed Morsi’s first appointments as president-elect of Egypt will be a woman and a Coptic Christian, his spokesman has told the Guardian, as he moves to allay fears of the Muslim Brotherhood. Sameh el-Essawy said that although the names of the two choices had not been finalised, they would be Morsi’s two vice-presidents. When the appointments go through, they will constitute the first time in Egypt’s history that either a woman or a Coptic Christian has occupied such an elevated position in the executive branch. Already in 1952, the first year of her reign, she had become patron of the Council of Christians and Jews, the organisation founded by Archbishop of Canterbury William Temple and Chief Rabbi Joseph Hertz in one of history's darkest nights 10 years earlier. In England, almost uniquely, the Church stood alongside the Jewish community in its fight against anti-Semitism. The royal recognition of the ongoing significance of this effort gave interfaith work a centrality and prestige it would not otherwise have had, and it helped to make tolerance the default option in British life. Americans in particular find this hard to understand. How, they ask, can you have real tolerance in a country with an established Church? Doesn't it relegate everyone else to the margins of national life? To this the answer is no. In her religious role, the Queen is head of the Church of England, but in her civic role she cares for all her subjects, and no one is better at making everyone she meets feel valued. 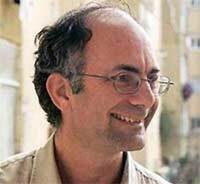 NEW YORK (RNS) The Dalai Lama has given Nicholas Vreeland, director of The Tibet Center in New York, a daunting new assignment. On July 6, Vreeland will be enthroned as the new abbot of Rato Monastery in southern India, one of the most important monasteries in Tibetan Buddhism. He will be the first Westerner to hold such a position. 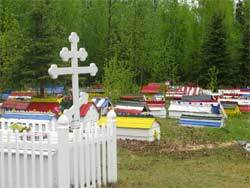 The first thing you see at Alaska’s Eklutna Cemetery is a tidy white church, with copper-colored onion domes that are topped by the three-barred Russian Orthodox cross. The church is a reminder of the days when Alaska was claimed by imperial Russia. But it hardly prepares you for the unique combination of Native American and Russian Orthodox influences in the graveyard beyond. Eklutna is a Dena’ina Native village, just off the highway about 25 miles north of Anchorage. According to Leggett, an anthropologist and curator at the Anchorage Museum, the Dena’ina are an Athabascan people, who have occupied Alaska’s south-central Cook Inlet area for more than 1,000 years. Athabascans are part of a vast Native American language group that stretches into Canada and Mexico. They are linguistically related to Apaches and Navajos. Before they encountered the Russian fur traders and priests who began coming to the coast in the early 1700s, the Dena’ina cremated their dead.